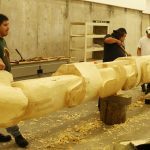 Carving: skilled craftsman can carve a variety of materials like wood, stone, bone, gold and silver into various art forms. 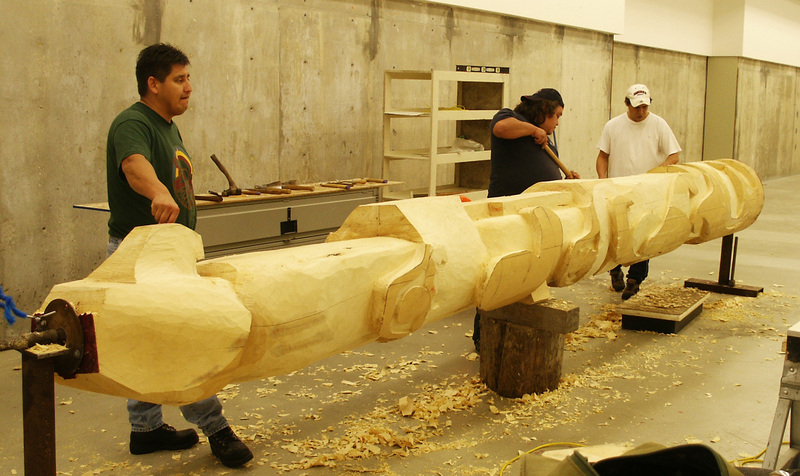 Wood carving is the most common traditional practice used to create Totem poles and other art forms. Sliammon Totem poles can be seen along the Seawalk in Powell River. Painting: another form of cultural expression and identity. 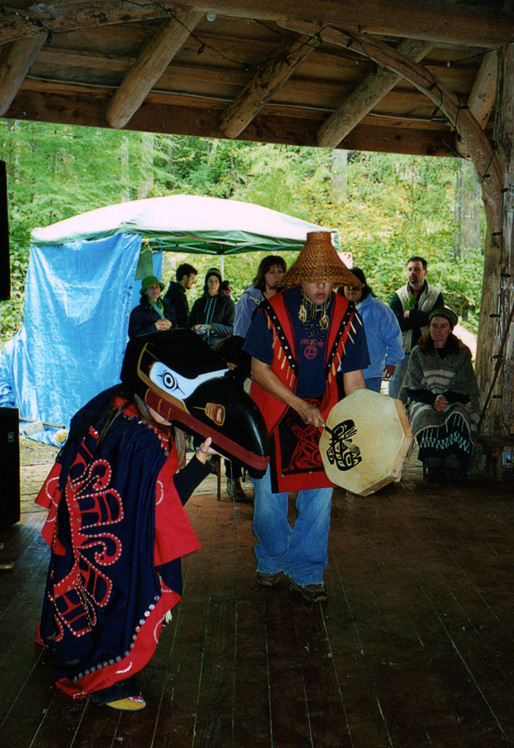 Traditional designs most often use a mix of three colors: red, black and white, with designs typically representing animals, characters, or totems of significance. 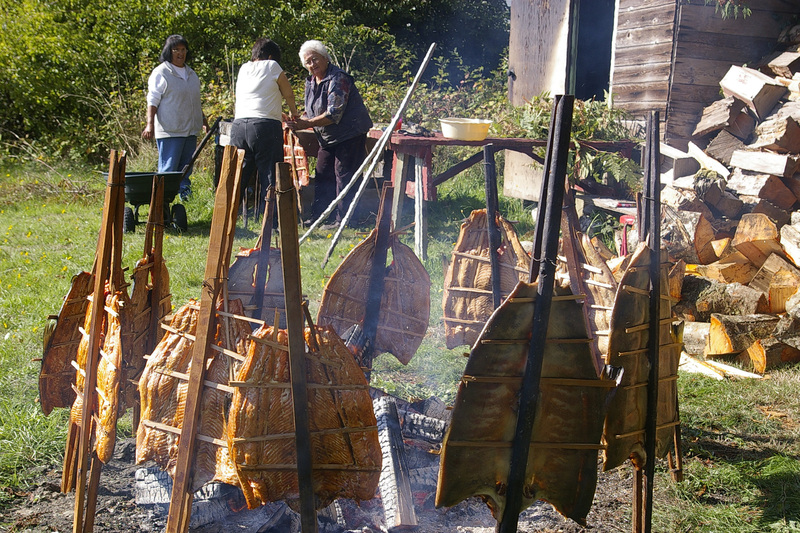 Weaving: skilled gatherers will strip sections of bark of a cedar tree and harvest suitable cedar roots with great care being taken not to harm the tree or take excess. These are then prepared into strips used for weaving ceremonial head bands, baskets, hats and other useful items. 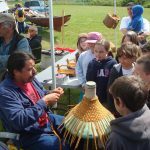 Textiles: the creation of button blankets, vests and other traditional forms of clothing using modern materials. 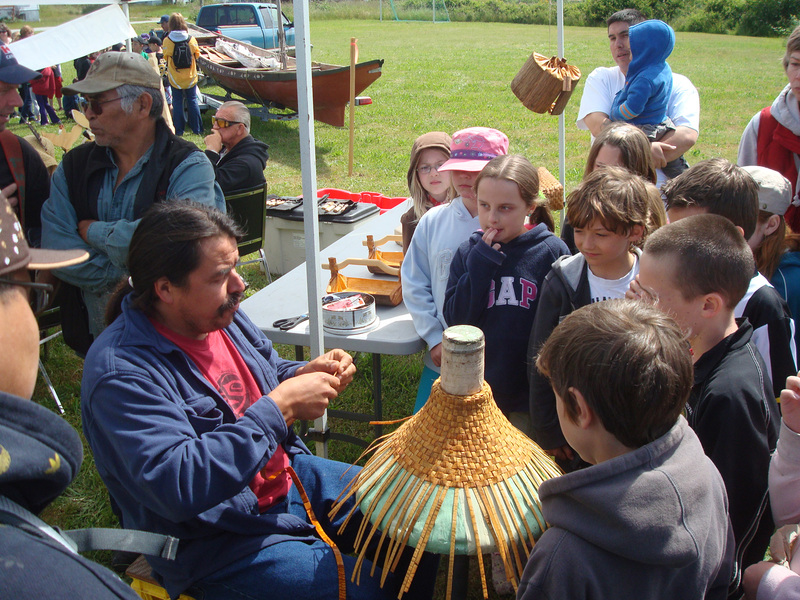 Story Telling: is the primary method of teaching and passing on our knowledge especially to our youth. 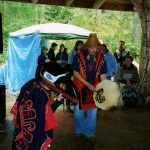 Singing, Drumming and Dance: is another form of story telling and a way to connect directly with Spirit and our ancestors. 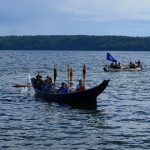 Other cultural traditions which continue to this day include our language, traditional food (such as smoked salmon), tribal journeys in canoes, and a number of other practices centered around various events and occurances such as the loss of a family member. 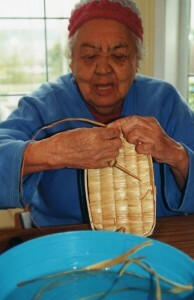 Our Elders are also highly regarded and valued in our community, as the primary sources of knowledge and teachings. 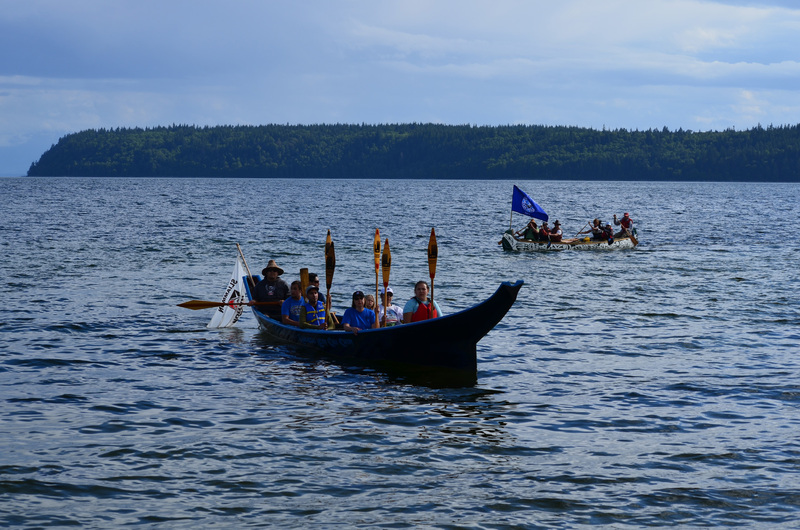 The Sliammon Cultural Department and motivated community members have been preserving and promoting Sliammon’s cultural roots for decades. 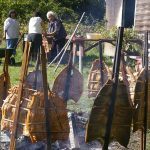 Their success arises from the hard work and dedication of many individuals who all share the same vision to revive Sliammon’s cultural heritage, traditions, and language and keep the culture alive.